We actually had tomatoes from our garden this year. Since we had more tomatoes than we could eat, it was time to can them. You know, since I decided to can everything this Summer. Okay not everything. It just felt that way. 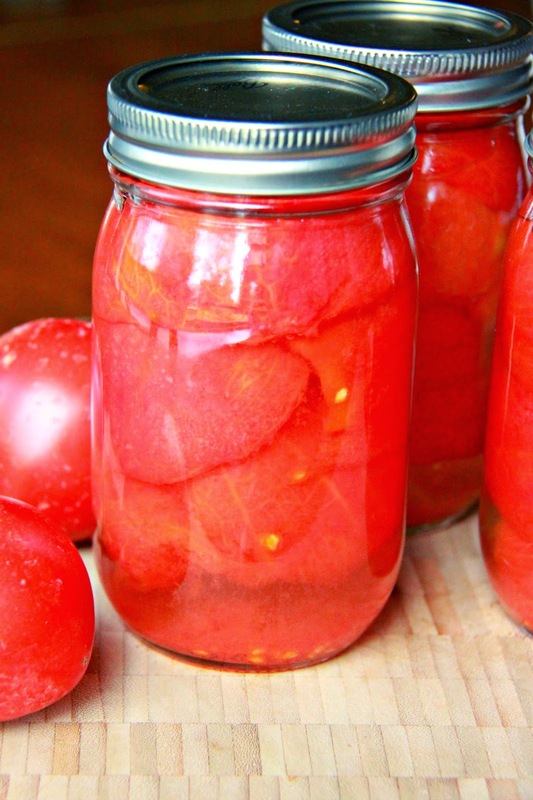 Canning tomatoes is one of the easiest and fastest things to can. Since it is so easy you can do smaller batches. 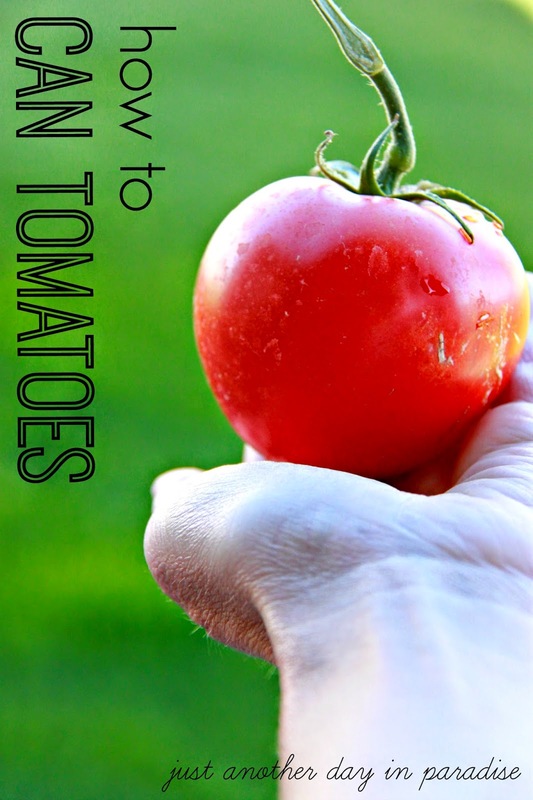 Basically you can them as you have them, because you know not all tomatoes ripen at the same time. They are high maintenance like that. Good news, that is the only thing high maintenance about them. 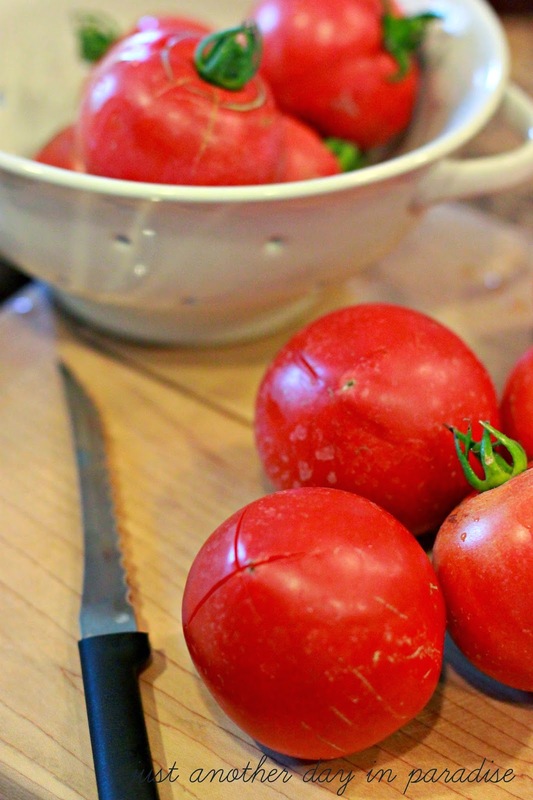 Okay, so you have some tomatoes all ready to go. Let's start canning. First is the preparation. Before I start canning I get everything ready. I wash the jars in hot water. I line them up on a cookie sheet and keep them in the oven set on the lowest temperature. Next, wash the rings and the lids. Then put them into a saucepan of simmering water. Keep them there until ready to use. Now it is time to prepare the tomatoes. 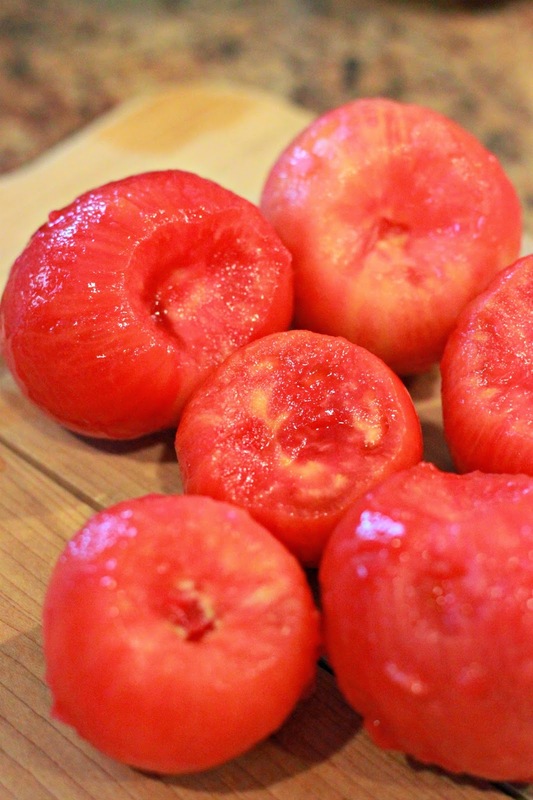 Rinse off ripe and unblemished tomatoes. 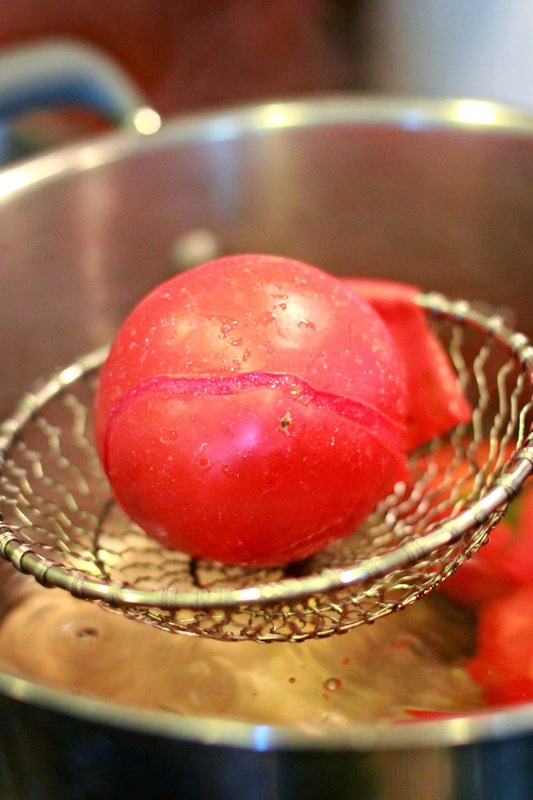 Lightly score the bottom of the tomatoes with an X. 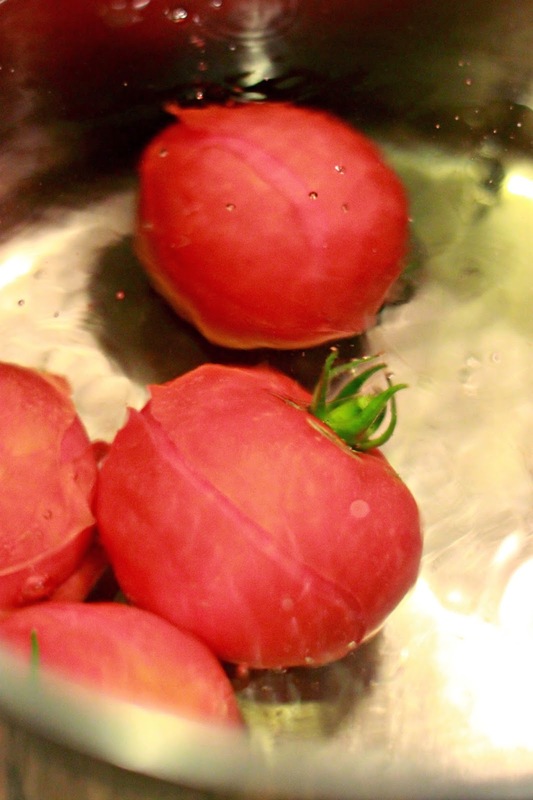 Place a few of the scored tomatoes at a time into boiling water. Take them out after 30-60 seconds, or when the skin starts to pull away. 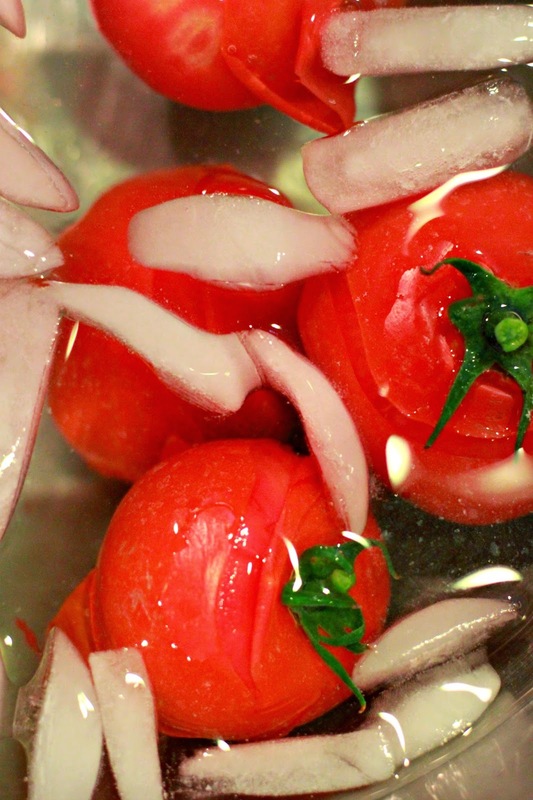 Immediately put the tomatoes into a ice water bath. Let them cool off for about a minute. Peel off the skin, cut off the top, and core the top. Fill a stock pot with water and set on high, to get it to a boil. Pull a couple of jars out of the oven. They will be hot, so use a hot pad. If you are canning pints, then put in 1/2 teaspoon of salt and 1/4 tsp citric acid (or 1 Tablespoon lemon juice). 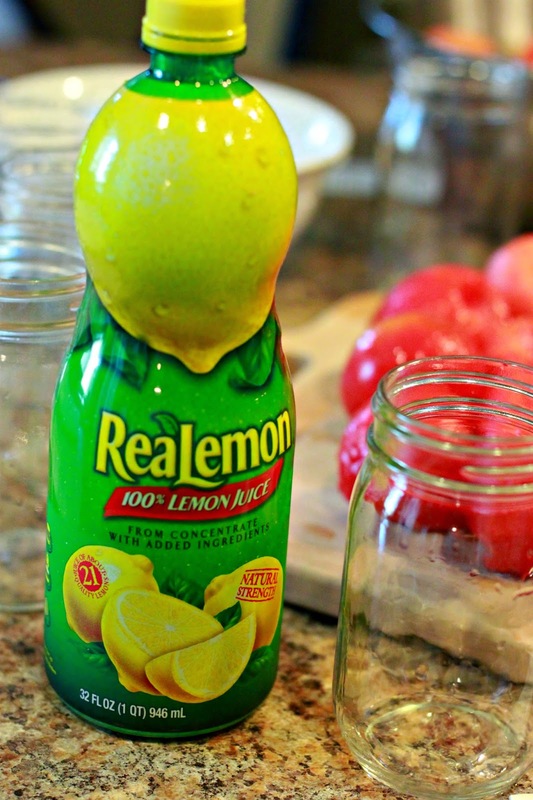 If you are canning quarts then put in 1 teaspoon salt and 1/2 teaspoon citric acid (or 2 Tablespoon lemon juice). 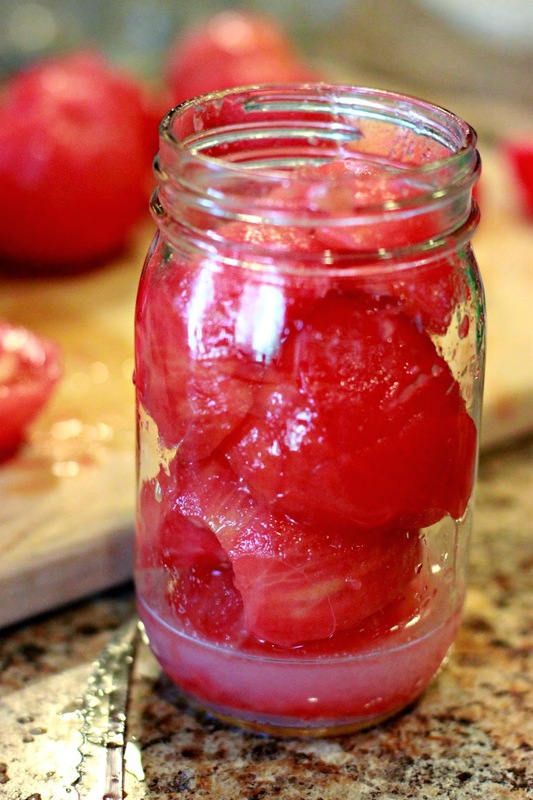 Cut the tomatoes in half or leave them whole. Place them in the jar. Ladle in some of the hot water. Fill to 1/2" head space (aka the space from the top of the jar to the water level). Remove air bubbles. Add more water if needed. 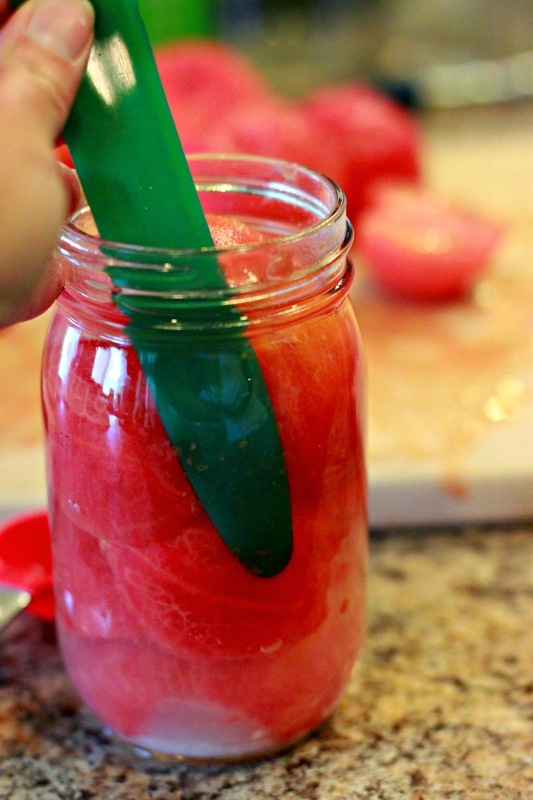 Clean the rim of the jar with a clean rag. Remove a lid and ring from the hot water. Place lid on top and screw on the ring, until just hand tight. Do not over tighten the ring. 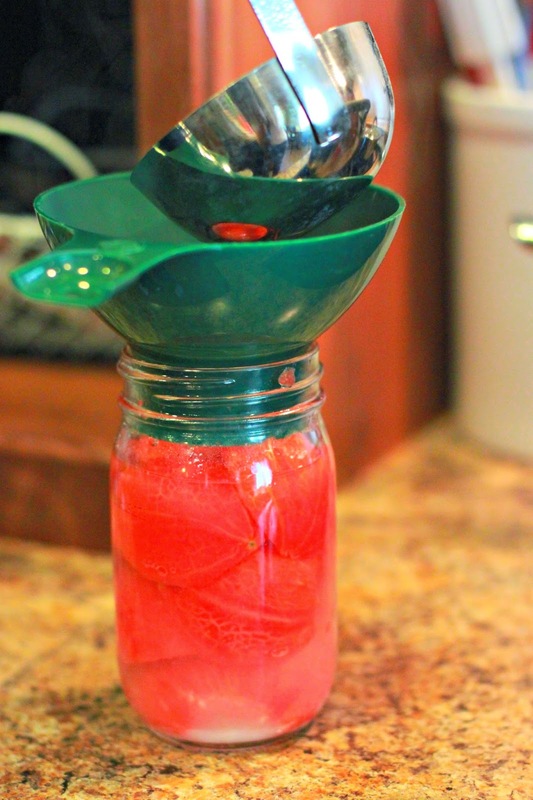 Place the jars in a water bath canner. Fill till water is an inch over the top of the jars. Bring to a boil and then process pints jars for 40 minutes and quarts for 45 minutes. Processing time needs to be increased based on your altitude. 1,001-3,000 ft increase by 5 minutes- 3,001-6,000 ft increase by 10 minutes- 6,001-8,000 ft increase by 15 minutes- 8,001-10,000 ft increase by 20 minutes. When the processing time is done, turn off the stove, remove the canner lid and wait 5 minutes before removing them from the water bath. 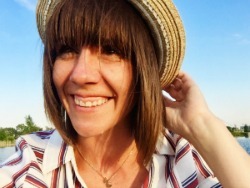 Cool and store. Only store once you have made sure the lid sealed. When you press on top of it there should be no give and it should not be able to be pushed up and down. Then glory in all you accomplished. You deserve it. We have been getting so many tomatoes! If we get more in our fruit/veggie box this week, I might give this a try!